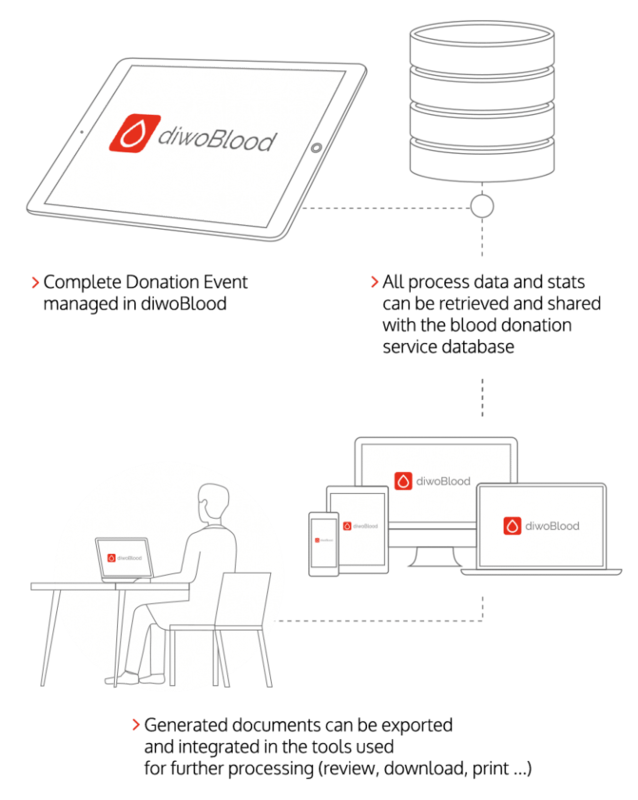 Comprehensive solution for the digitalization of the blood donation process. 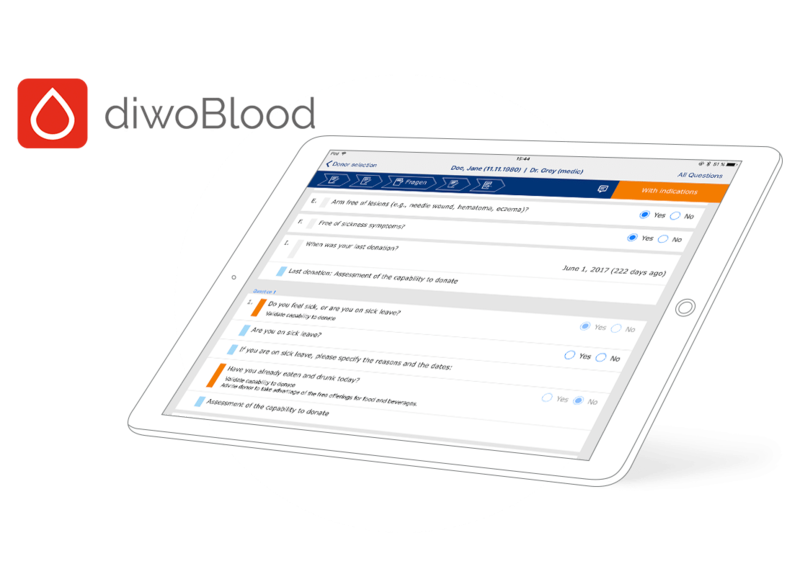 With easy to use apps diwoBlood provides support for doctors, medical staff, and donors in the blood donation workflow – starting with the registration, through anamnesis right up to the documentation of incidents during the puncture. The apps for anamnesis and consultation with the doctor are used within E-ConsentPro mobile, a product of the Thieme Compliance and are therefore clinically proven. 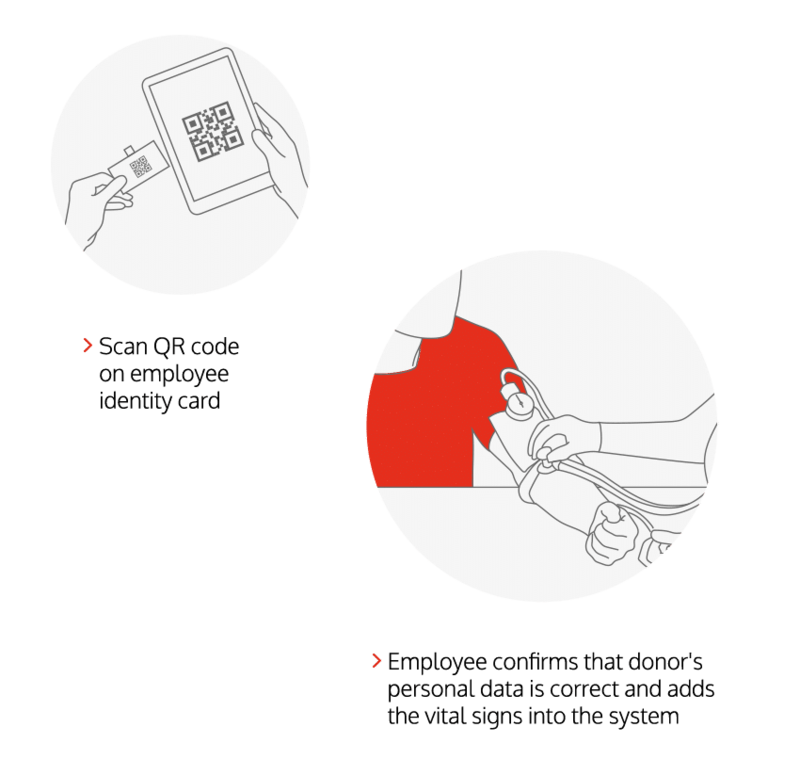 Also, these apps have been optimized for the blood donation process in cooperation with the Blood Donor Service of the Bavarian Red Cross (Germany). Easy to use mobile apps to increase the reliability of the blood donation process. 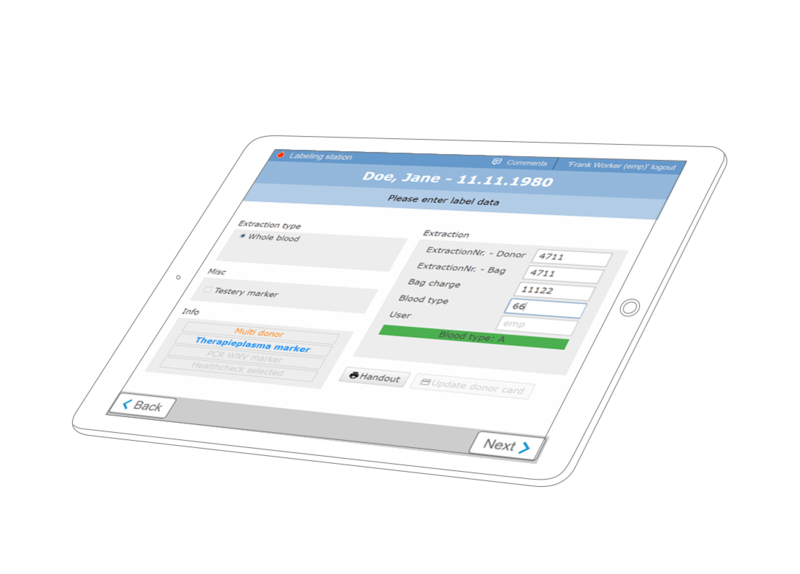 A configurable system provides support for donors and doctors in processing anamnesis data and detecting risk factors. diwoBlood reduces mistakes and omissions in the medical evaluation, cuts down the post-production effort and minimizes the blood product waste. Donors and doctors get easy to use clinically proven mobile apps. diwoBlood offers not only an easy collection of personal details but also an evidence- and rule-based processing of data. 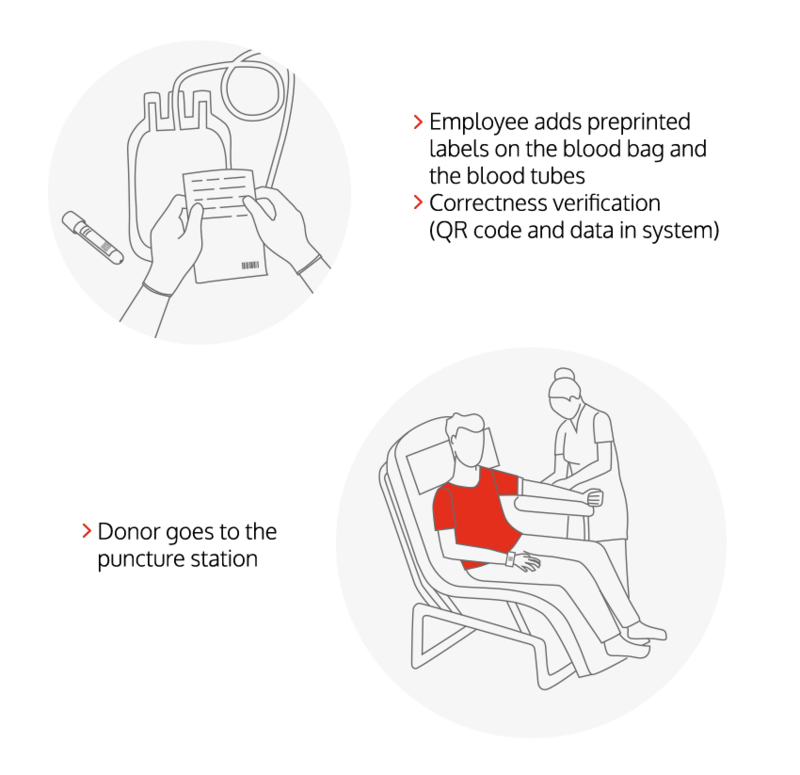 At the end of the blood donation process, the medical staff gets an electronically signed PDF document for archiving and all relevant data in a machine-readable structure for further electronic processing. diwoBlood is based on the software E-ConsentPro which has been tried and tested in the daily clinical work thousands of times. diwoBlood consists of modern software modules and offers apps for iOS and Android. Data security is guaranteed through strong encryption and in addition no personal data is stored on the mobile devices. Please contact us for further information. 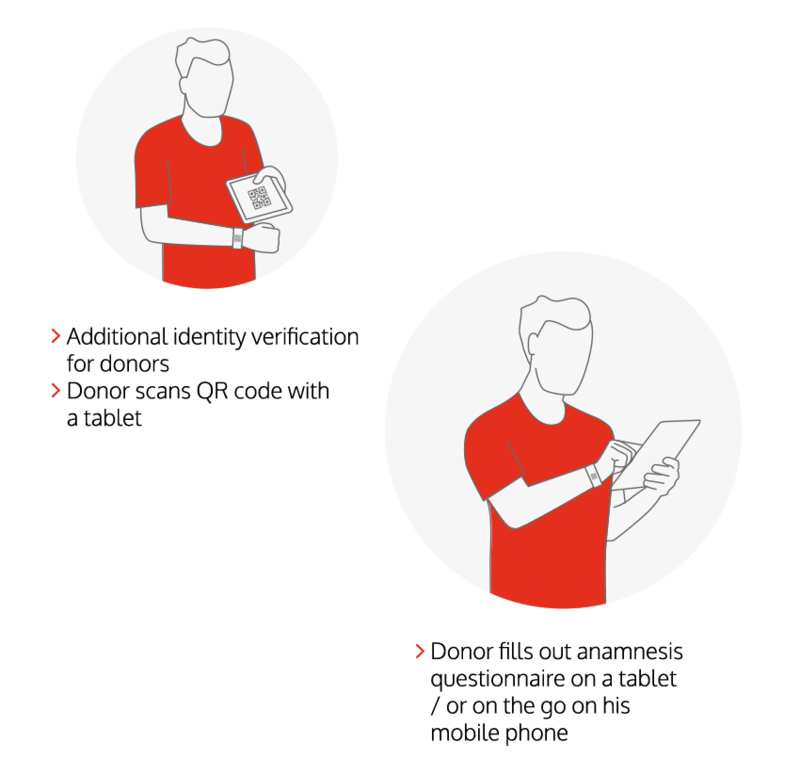 Digitize your paper-based questionnaires, give your donors the possibility to use their devices to answer all questions online. 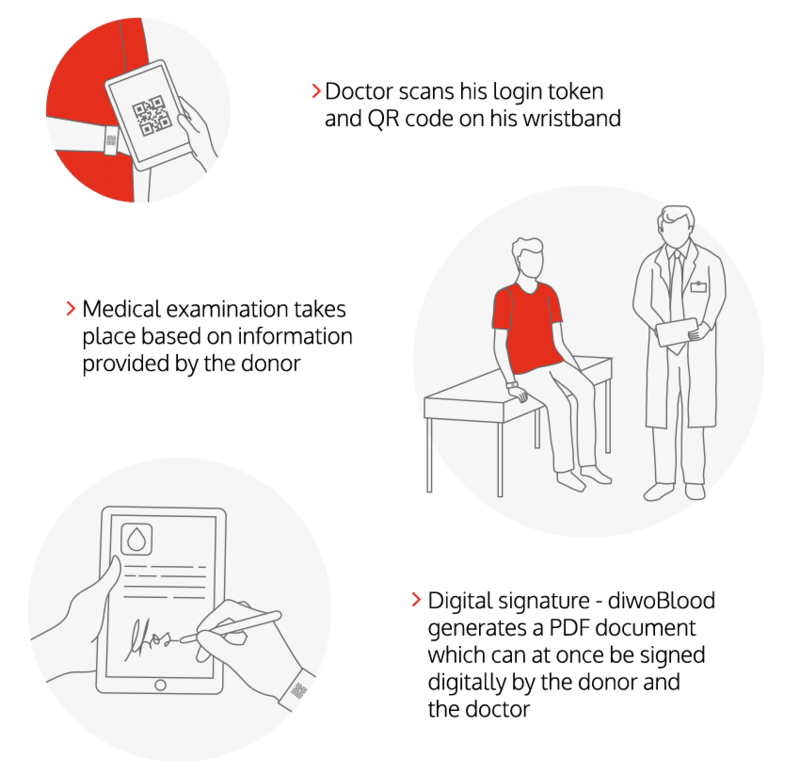 Doctors will have all the necessary data in one place, without mistakes or unreadable text. The digital questionnaire helps doctors to make a faster and more accurate decision. Less back office post-processing work for agencies personnel. You can quickly find any survey, or data about the donor, using your existing database. 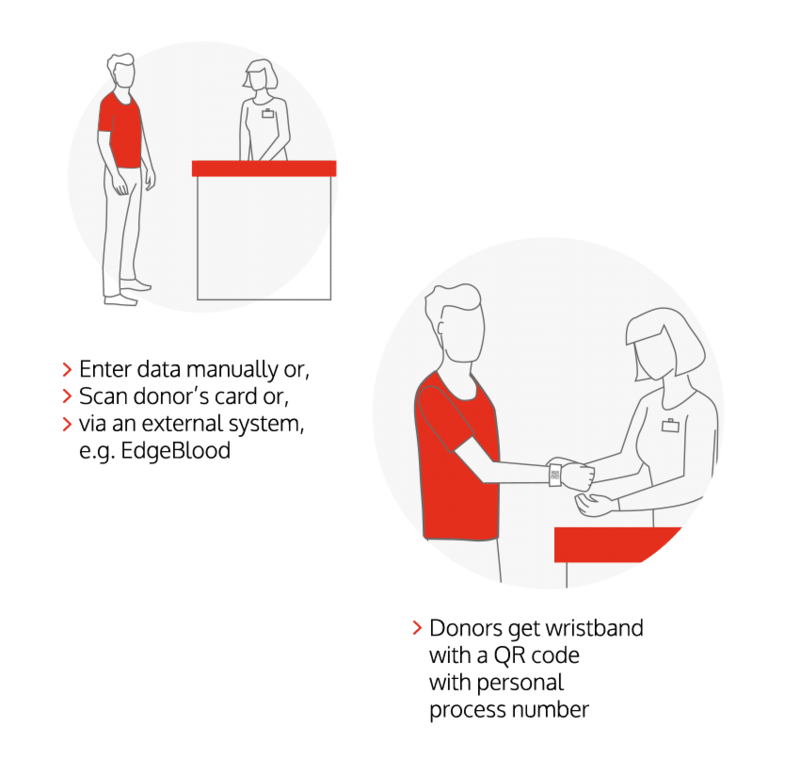 The flexible solution supports the transition process and can service both paper and digital process at the same time. Are you ready for a demo? 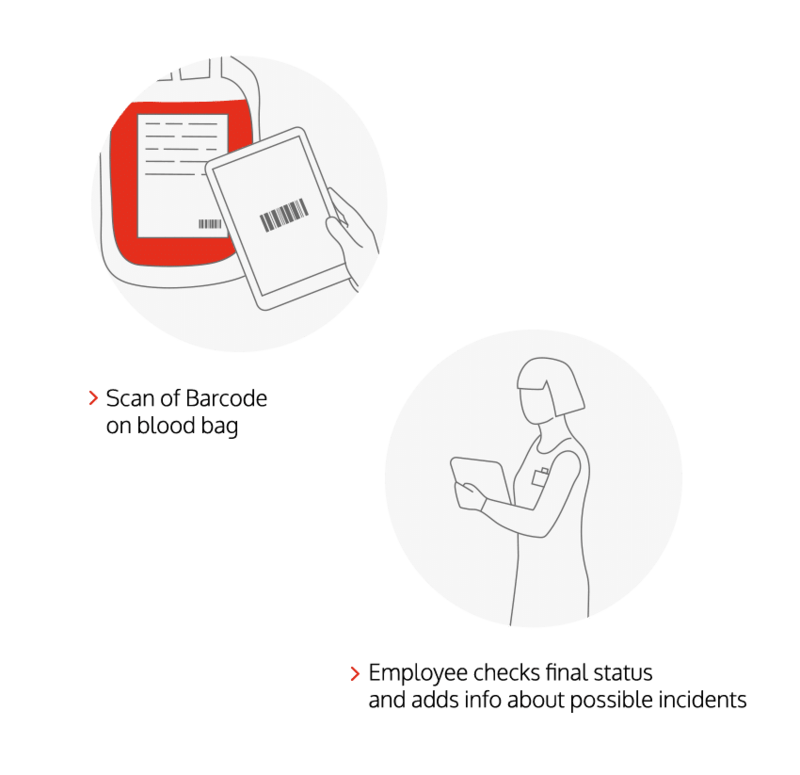 Modernize your blood donation workflow for more process reliability and greater satisfaction among your donors.